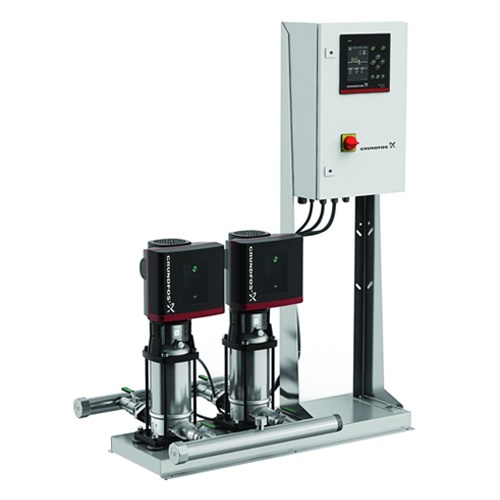 The Grundfos BoosterpaQ is a fully integrated pressure boosting system based on the world-renowned CR range of multistage centrifugal pumps. 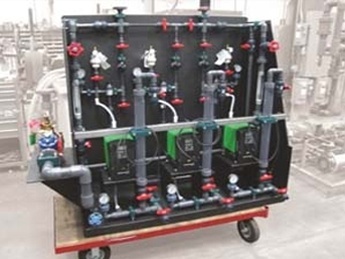 Each Grundfos booster pump system is designed and built by Grundfos to meet the customer's specific needs for capacity and control. 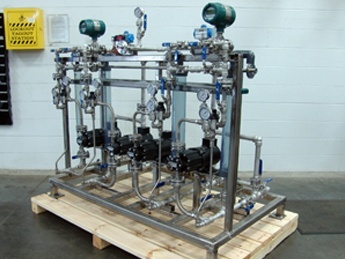 These systems are used in a wide array of applications including pressure boosting, municipal water transfer, industrial process, and HVAC applications. With an annual production of more than 16 million pumps, Grundfos Pumps is a global leader in advanced pump solutions and a trendsetter in water technology. 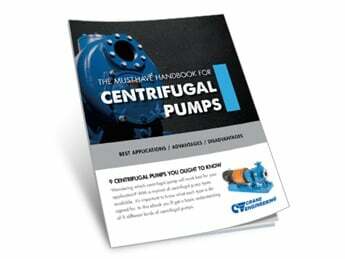 The company specializes in circulator pumps for heating and air conditioning as well as centrifugal pumps for industrial applications, water supply, sewage and dosing. Grundfos also manufactures standard and submersible motors and state-of-the-art electronics for monitoring and controlling pumps. Since its inception in 1945, the company has flourished from one small factory in Bjerringbro, Denmark to a global corporation comprising more than 80 companies and over 18,000 employees.